« Take the Poll: What Type of Rider Are You? Wow! On a Wednesday morning over 90 residents, business owners, Chamber of Commerce representatives, city staff, and others joined Mayor Dean Maxwell, Representative Kristine Lytton, Anacortes City Councilmembers, representatives from the Samish Indian Nation to welcome Congressman Rick Larsen to the Guemes Channel Trail. 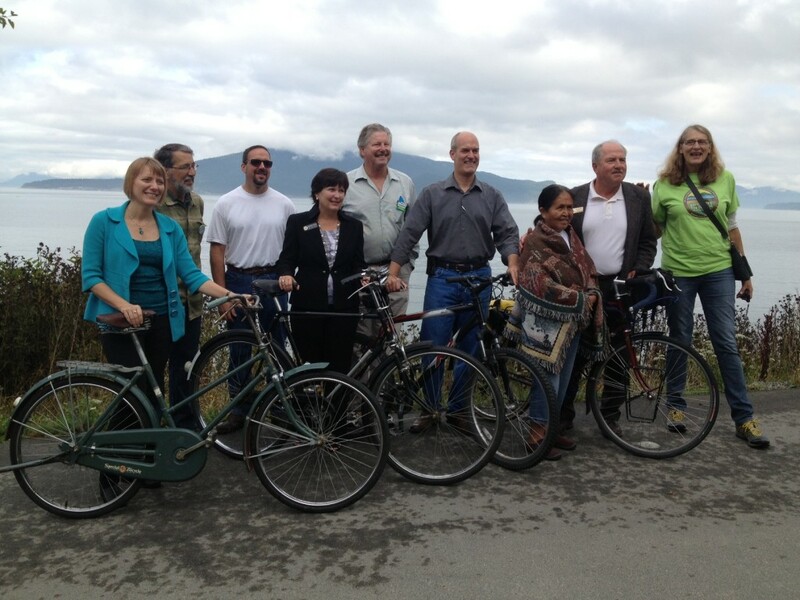 Congressman Larsen was invited to the Trail to learn about its benefits for transportation connectivity, tourism, and recreation. He heard from community, civic, and business leaders about their strong work to-date (including a recent $700,000 appropriation in the state capital budget) and what still is needed to “complete the dream” linking the San Juan Ferry Dock to downtown Anacortes (bypassing the narrow-shouldered SR 20) and the Tommy Thompson Trail. 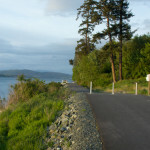 Guemes Channel Trail also represents the western terminus of US Bicycle Route 10, which Bicycle Alliance is currently mapping out across northern Washington state. 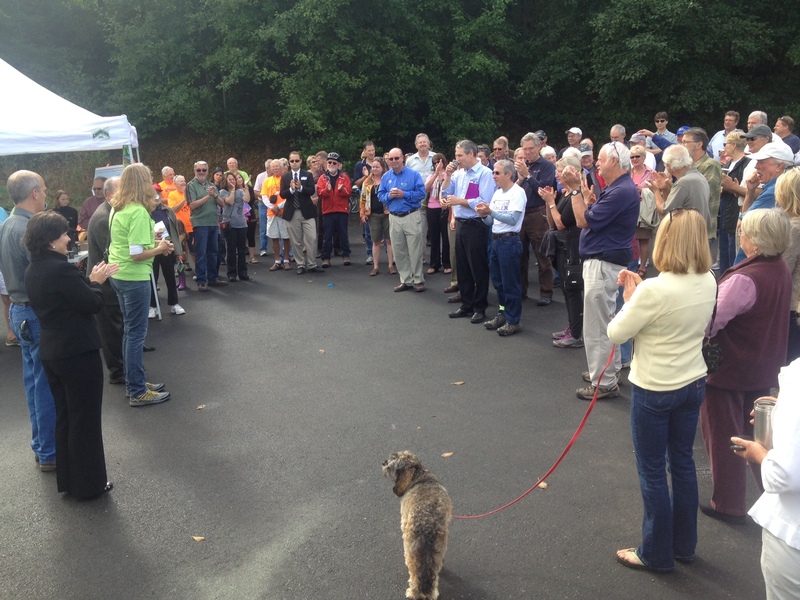 In his remarks Congressman Larsen expressed his appreciation for the attendees at the Guemes Channel Trail site visit noting that it’s much easier to lead when such strong support for a project exists. 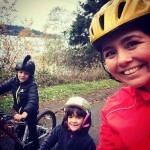 Bicycle Alliance is excited to help work statewide to connect to our elected leaders to neighbors, mayors, and advocates who want projects that improve biking and walking across Washington state. Join us! This article was posted in Advocacy, Economic Impact, Events, Ferries, Funding/Policy, Infrastructure, Issues & Advocacy, News, People, Politics, Safety, Skagit County, Tourism, USBRS, WSDOT. Bookmark the permalink. Follow comments with the RSS feed for this post. Both comments and trackbacks are closed. 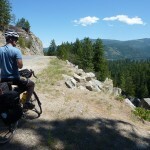 Just cycled from Seattle to Anacortes last week. The Tommy Thompson trail after the high rise of the SR 20 bridge is one of the most spectacular entries into a city that I have encountered. But the current trail ends a couple blocks from the city center in a very uninspiring way. It’s a great regional amenity and if it could be extended to the west side of the city, it would be a real gem! We’re looking forward to the full experience when it’s done. Bicycling and walking right along the edge of the bay is just beautiful. You can go to where some of the trail has been constructed by a developer (there are gaps on both ends right now so you have to enter from the neighborhood) and get a feeling for what it will be like.